Last Saturday the streets in Rybnik were mastered by runners of VII Lunar Half-Marathon in Rybnik. ALAN Systems also participated in it! Our team showed what is the most important to us: dynamics and perseverance! 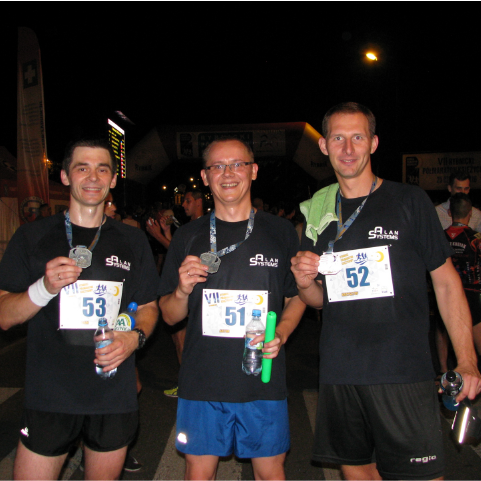 First - we supported Lunar Half-Marathon in Rybnik as a partner. Secondly - we ran in the relay and we took the 15th place out of nearly 50 teams, with a fantastic time of 1:46:12! So ... ALAN Systems team is probably the fastest programmers in our region! 🙂 Our compliments for the perseverance and sport fight spirit!